Facilitating a service-learning component provides meaningful experiences for my students. Students meet the challenges of designing and implementing art lesson plans for elementary level students. 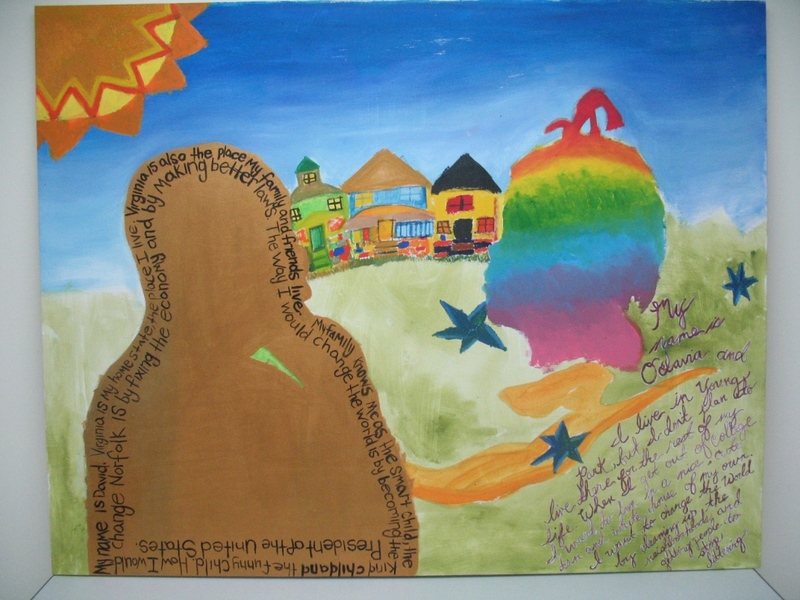 This particular service learning project strengthened their ability to develop art curriculum based on the concept of Place: My Home is My Castle. The project allowed for the application of their research in creative, meaningful ways. Students provided free art lessons held during “Youth Art Month”. Gallery Exhibit: The finished children’s artwork was hung by my college students at the Baron & Ellin Gordon Art Galleries on our campus. The children’s artwork will be auctioned as an upcoming fund raiser hosted by ForKids, inc. as part of their annual art auction. I am very proud of the hard work, planning and creative problem solving accomplished by my college level students and visiting young artist participants. Our program seemed to have a positive impact by providing quality teaching and learning experiences through arts education. Because the process was authentic and relevant, I look forward to additional programs with our partner-in-education, ForKids, inc. in the near future. This entry was posted on January 31, 2008 at 11:41 pm and is filed under Uncategorized. You can follow any responses to this entry through the RSS 2.0 feed. You can leave a response, or trackback from your own site.